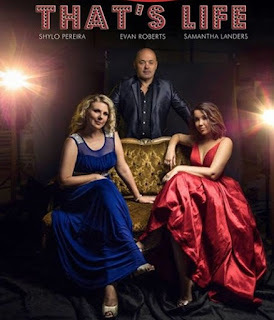 That’s Life is an exciting new show starring Durban singers Samantha Landers and Shylo Pereira, and pianist extraordinaire, Evan Roberts, coming to Rhumbelow Tina’s in Kloof from April 18 to 22, 2018. Join them on a musical journey through the life of women, featuring all time classic hits like George Michael’s, Careless Whisper and Carol King’s You’ve Got A Friend. From Broadway to Contemporary, this sophisticated show has something for everyone. Well-known songs from the musical stage (Don’t Rain On My Parade), to pop songs with a little twist (I Kissed A Girl), That’s Life will have you singing along as you wander down Memory Lane.